Citizen Potawatomi Nation District 2 Legislator Eva Marie Carney combined her annual contest and food to bring people together in 2018. From January to April, she collected recipes aimed at feeding large groups of people. She intended to fill a cookbook and send it to Tribal members as an end-of-year gift, similar to what she did in 2013. “Cooking is important, and it is a way of sort of sharing culture and good feeling, and nourishing people,” she said. One of Carney’s acquaintances gave her a cookbook found in Germany titled Indian Recipes: Collected from the Indian People I Love. Tribal member Priscilla Mullin Sherard originally published the recipes in 1975 that inspired Carney’s project, Fall Feast-Inspired Recipes: From Citizen Potawatomi Kitchens to You. While preparing for the contest, Carney thought about District 1 and 2’s annual celebratory fall feast, which she helps organize each November with District 1 Tribal legislator Roy Slavin. The dishes she saw at previous gatherings sparked the idea to ask for big-batch recipes. Carney requested additional material outside of basic ingredients and directions including the recipe’s source, its originality and at what celebrations it makes an appearance. She also wanted the sender’s name, what family they are a descendant of and where they live. Tribal members from across the country participated. She received roughly 20 recipes to add to the cookbook during the contest and several more afterward. 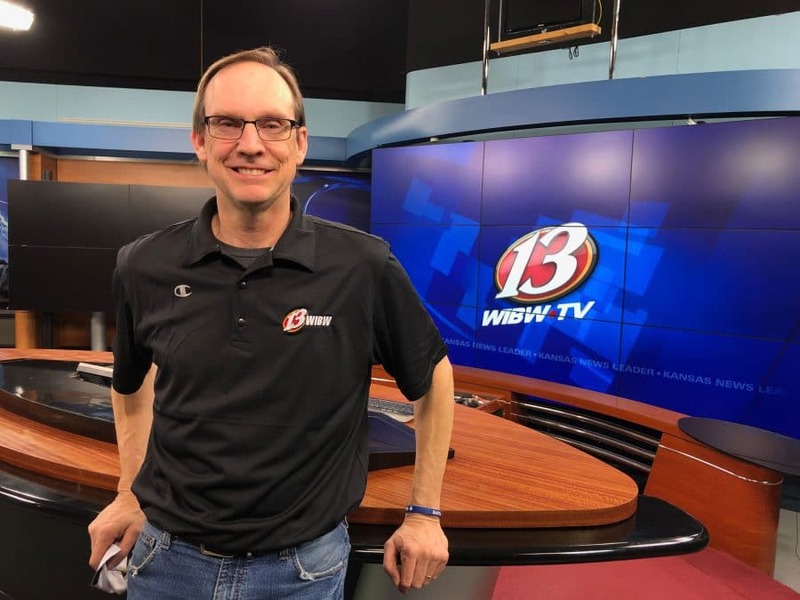 In her June Hownikan column, Carney announced Brian Kirk (Wabjejak) from Oklahoma as the random prizewinner for his wild rice and grape salad recipe. The 2013 winning recipe called “Potawatomi Deer Meat Poppers” combined fresh deer meat and jalapenos for a delicious treat with a side of sarcasm. Carney began putting the 2018 cookbook together a few months ago. She plans to add some of her own recipes, especially ones she took to large Potawatomi gatherings in the past. She encourages fall festival attendees to bring their recipes with them. Tribal members are also welcome to submit additional ones through early December, preferably through email. Carney plans to mail a cookbook to everyone who submitted a recipe. She is also accepting requests for physical copies through the end of 2018. Simply send her an email with a current mailing address. An electronic copy will be available on her website at the beginning of 2019. Legislator Carney will host another random contest beginning in January 2019. Send recipes and cookbook requests to ecarney@potawatomi.org, and visit her website at evamariecarney.com. Call toll-free at 866-961-6988. 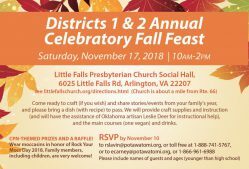 The 2018 District 2 fall feast takes place Saturday, Nov. 17, 10 a.m. to 2 p.m. at Little Falls Presbyterian Church in Arlington, Virginia. RSVP via email with names of guests and their ages by Nov. 10.